ISIS, the terror group that claimed responsibility for the Paris attacks last November, is plotting "enormous and spectacular attacks" on the West, according to a senior British police official. Mark Rowley, the Metropolitan police assistant commissioner, said Monday during a press briefing on the terror threat against the U.K. that authorities have detected more plans to launch attacks on "western" lifestyles, The Guardian reported. "In recent months we’ve seen … more plans to attack western lifestyle … [ISIS has gone] from that narrow focus on police and military as symbols of the state to something much broader. And you see a terrorist group that has big ambitions for enormous and spectacular attacks, not just the types that we’ve seen foiled to date," Rowley told reporters. "You see a terrorist group that while on the one hand has been acting as a cult to use propaganda to radicalize people to act in their name … you also see them trying to build bigger attacks," Rowley continued. Rowley further stated that ISIS has encouraged operatives who have underwent military training in Syria to travel to northern Europe and launch attacks there. Concerns of possible terrorist attacks in Europe and the United States have increased with the rise of ISIS in the Middle East, particularly following the coordinated attacks in Paris last November that killed 130 people. Rowley said that U.K. authorities are prioritizing the search for potential links to terror networks. "[The] shared effort to look for any possible links of those networks or other networks that have reached the U.K. is obviously a massively high priority," Rowley stated. The U.K. has seen a considerable increase in terrorism arrests in recent years. The count of individuals arrested on suspicions of terrorism increased by 57 percent in the most recent three-year period when compared with the previous three years. Roughly half of these apprehensions led to suspects being charged. Women accounted for 14 percent of counterterrorism arrests made in 2015, and 13 percent were age 20 or younger. Rowley said that these statistics point to the success of ISIS propaganda and the terror group’s ability to reach a diverse group of people. "That would not have been the picture that one would have seen a few years ago. That is an indication of that radicalization, the effect of the propaganda and the way the messages of Daesh [ISIS] are resonating with some individuals," Rowley said. 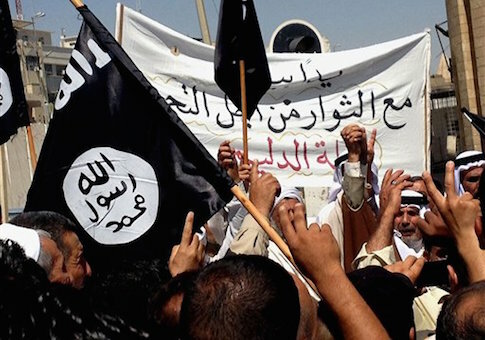 ISIS has also made impressions on individuals in the United States; American authorities have arrested dozens of individuals in recent years for trying to join or provide material support to ISIS. The terror group is also believed to have inspired the shooting in San Bernardino, California, that killed 14 people last December, an attack carried out by a husband and wife who had been radicalized for years. The female attacker, Pakistani national Tashfeen Malik, immigrated to the U.S. from Saudi Arabia in July 2014. The rise of ISIS has become a key issue in the 2016 presidential election in the United States.